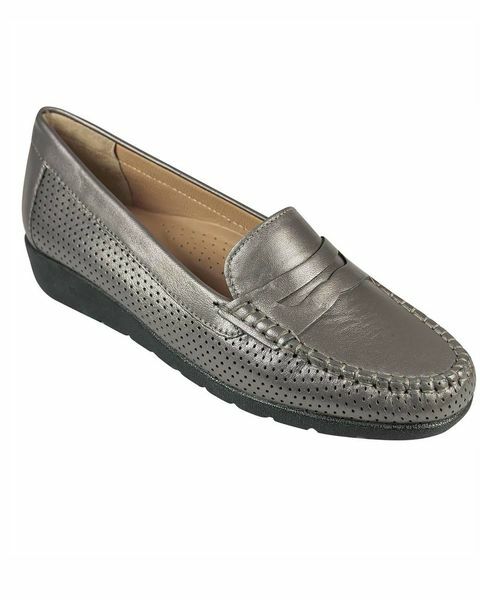 Van Dal leather slip on style women's shoes. Sizes 36-41. Comfortable leather slip on style with punched out detail and contrast patent front in the black and navy. 1” wedge heel with rubber sole for added grip. Black/patent, Navy/patent, Metallic. D fit.